Make the holidays a little greener! 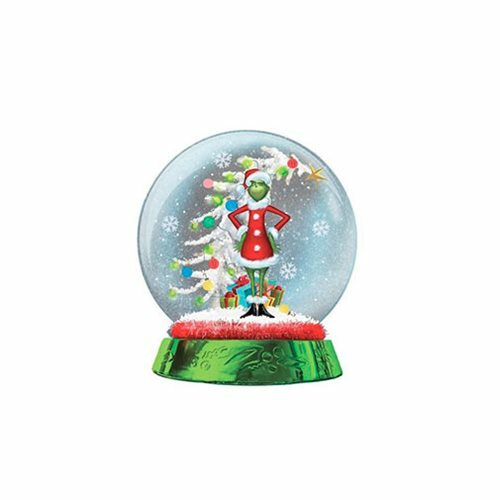 The Grinch and Tree LED Snow Globe features the Grinch standing in front of a white, decorated Christmas tree with presents. The globe rests on a red garland and green base. Battery Operated (not included).